Our restaurant, flagship of our entire facility, offers traditional dishes of the cuisine of Brescia and of the international cuisine, prepared and served by our chef. The quality of food, the originality of the courses and the harmonic combination with the Lake Garda flavours give an important added value to the general quality of the stay. At our hotel the restaurant, only at our guests’ disposal, offers you an international cuisine which embraces the traditional Italian taste and the local cuisine of the Lake Garda. The ingredients come from farming cultivations growing in the area of the lake in order to preserve the original quality and flavour of the dishes. 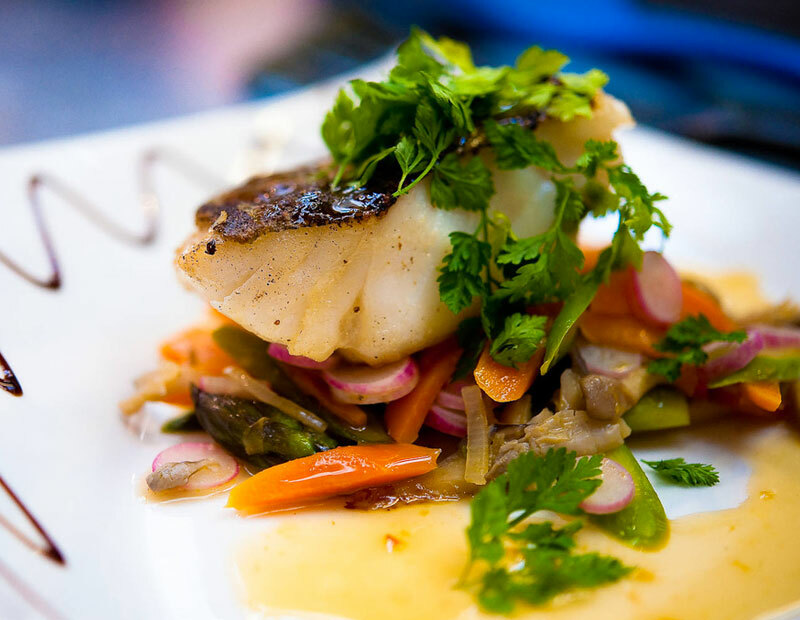 The restaurant, skilfully run by our chef, will positively surprise you for its quality and service. 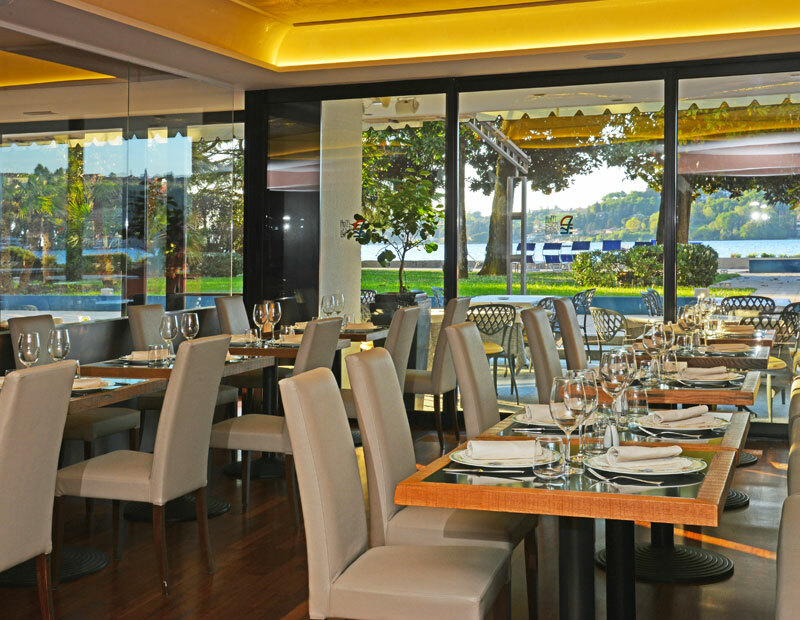 The tables of the restaurant are laid down on the lake shore from which you can appreciate the gentle and harmonious sounds of the waves. Breakfast is served as a buffet while dinner is served at the table in the magic atmosphere of the sparkling lake. Throughout the day the bar is open for tea times, snacks, salads, cold dishes and every other kind of fancy wish. Rich buffet breakfast served in the dining room with large windows facing the park and the lake. 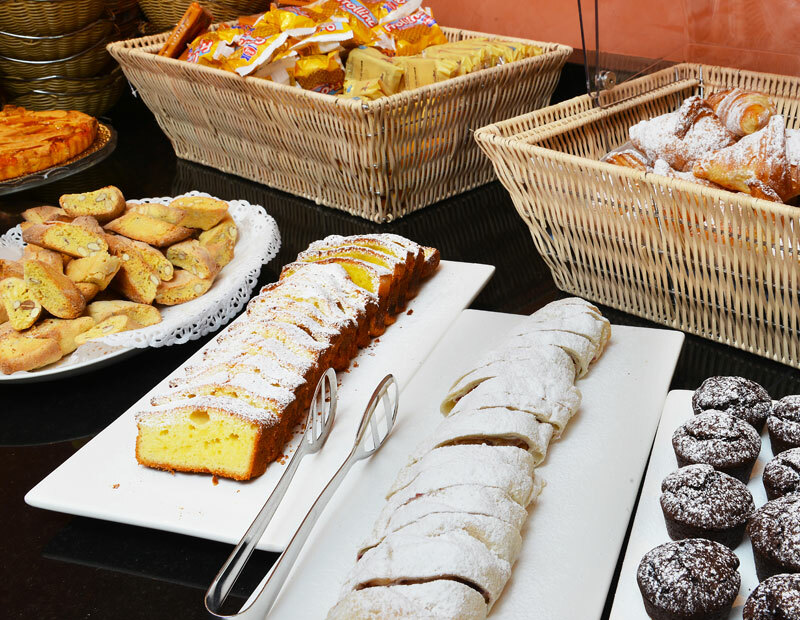 Breakfast consists of a typical Italian menu with croissants, cakes, pastries and an international menu with cold cuts, seasonal fresh fruit, jams, and much more. Local cuisine which is always combined with more international dishes. Raw materials are selected exclusively from local producers and comply with a strict cultivation protocol. Romantic dinners enjoyed by the pool with a wonderful view of the lake. Taste the dishes prepared by our chefs, accompanied by the music of nature and the sound of the lake waves as they lap against our dock. A dinner in our restaurant is unique and romantic.